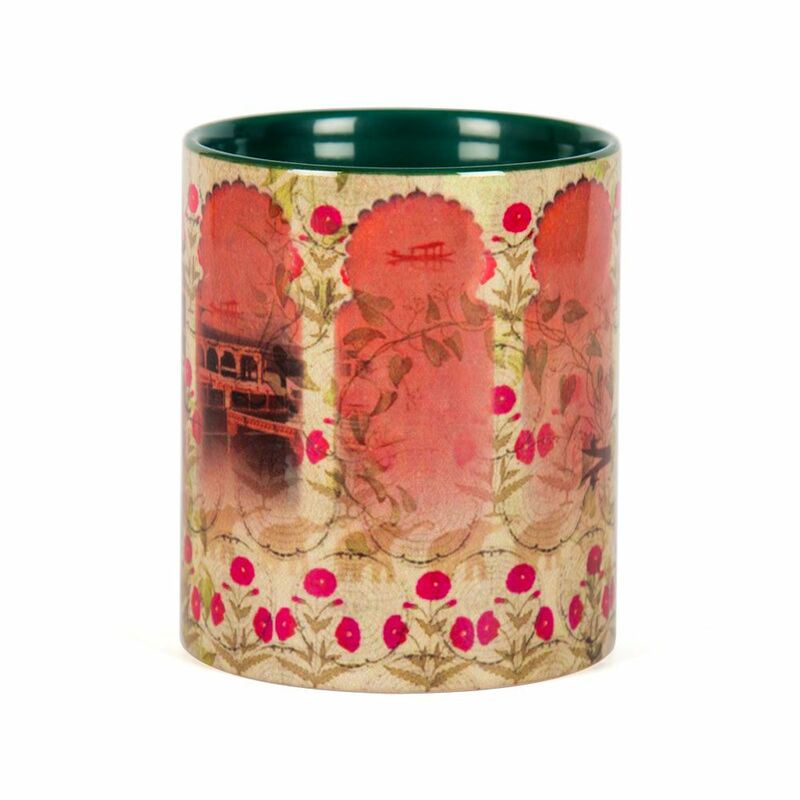 Turn up the suave quotient of your lifestyle with the Royal Exotica mug. 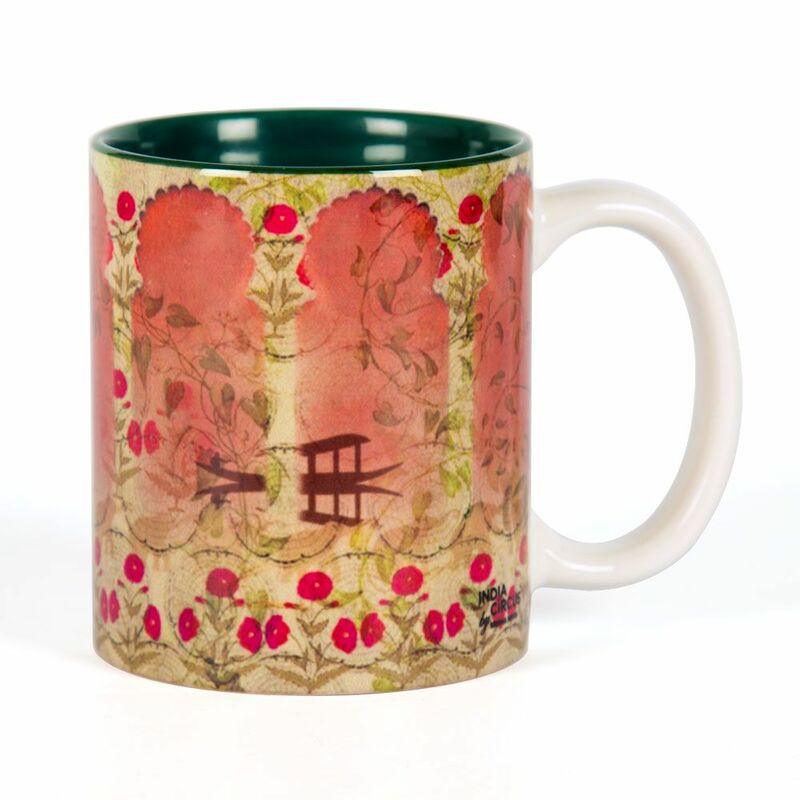 This ceramic mug depicts a beautiful background of royal corridors adorned with floral vines. 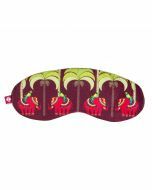 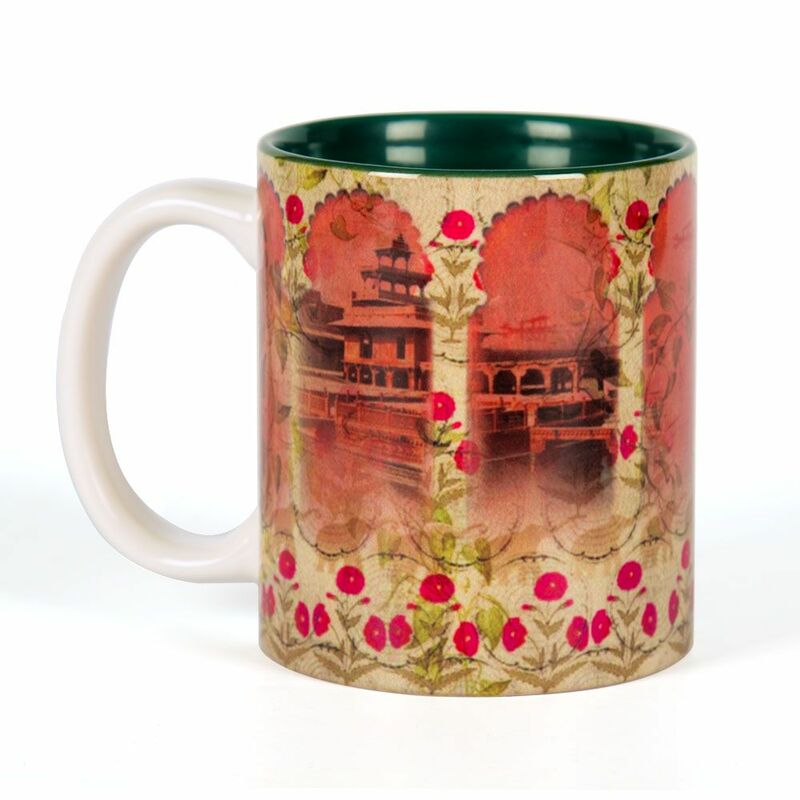 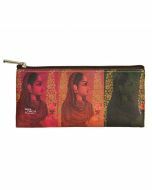 Colored in hues of beige, brown and fuchsia, this coffee mug looks like a page out of Mughal design.